On the night of Thursday July 25th I was alone in my house. It was quiet and calm as I sat at my computer in the main room, then I heard a tiny noise from the kitchen. I turned my head and saw a full grown ferret sniffing around on the kitchen floor! It was shiny and cute and had it’s nose in a plastic tub that was setting on the linoleum. The ferret looked up at me and then turned and smoothly stepped out the kitchen door and onto the porch. There, it turned back to look at me once again and lemme tell you, this thing was cute. I took another step forward and it hopped off the porch and into the current bush next to the door. It was surprisingly loud as it moved through the dry grass and leaves at the base of the bush. I stood on the porch for a moment and listened in the dark, after a few seconds of rustling it was gone. If you’ve never seen a ferret it would be hard to describe the life and vitality that these animals can project. They are closely related to a mink, so their fur is gloriously smooth and silky. Even though I only saw this little guy for a moment, maybe less than 20 seconds, it’s coat looked radiant and shiny under my kitchen lights. I can’t say this strongly enough, seeing a wild ferret right in my house was highly unusual. 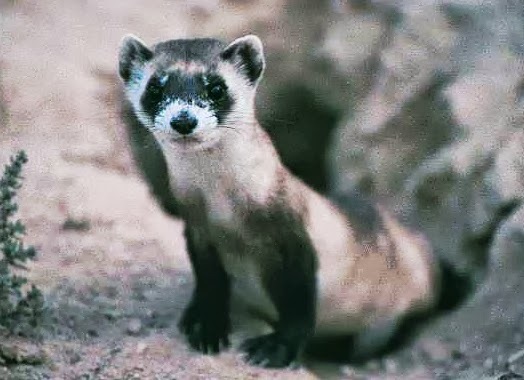 It’s markings matched the Black Footed Ferret, one of the rarest mammals in North America. I saw it clearly, it was about 18 inches long, I was looking down at from probably less than four feet away. During the warmest part of the summer my cabin gets hot by the end of the day. The temperature of the dry mountain air will drop dramatically just as the sun sets so in the evening I’ll open up both the kitchen and screen door and it doesn’t take long for the house to cool down. The kitchen door was fully open to the outside when that ferret walked into my home. The sighting of the ferret in my kitchen happened at around 9:30 at night. I immediately posted a facebook note with a short explanation of what had just happened. It wasn’t too long after that I went to bed. 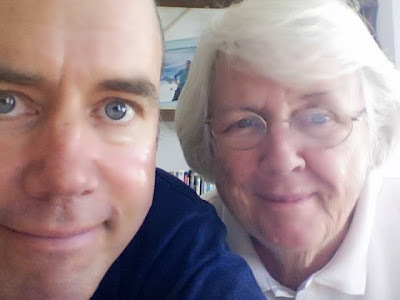 I got up early the next morning (curiously, much earlier than usual) to find an email from my brother with the subject: Mom is in the hospital. He briefly explained that Mom had collapsed earlier that morning, and because of the time difference he was waiting to phone me. I immediately called and heard the news that my mother had a hemorrhage in her brain, and it was extremely serious. My mother has been suffering from Alzheimer's for over six years, and the severity of the disease has been increasing in just the last few weeks. I was following her decline by checking in with my sister over the phone. My father, Alexander Clelland, died of a stroke just a little over a year ago, and my mother still thought he was alive. She did beautifully at his funeral, and in that moment she seemed to understand that he was gone. But after that it just felt cruel to ever bring it up. When she would ask, Where’s your father? We would just calmly tell her that he was out getting his hair cut. This last year of my mother’s life has been sad and isolated. She has been in a memory care facility at an assisted living community, and this place is about as nice as it can be, but her condition left her her confused and frightened. I flew to be with her (and my brother and sister) the next day. She never regained consciousness after her initial collapse. She died peacefully in the early morning on Wednesday July 31st. My sister and I were by her side when she passed over. There was a very real sense of relief that her suffering was over. My brother, sister and I all spoke about how we were at peace with her passing. That beautiful ferret came into my home the night before my mother had her brain aneurysm, the event that lead to her death a few days later. That seems a message more to my mom. Yesterday I spoke to a woman who is an animal communicator. When I mentioned this ferret in my kitchen (and before I mentioned my mothers death) she listed off what a ferret represents as a spirit animal. She said it meant joy, playfulness and good news. 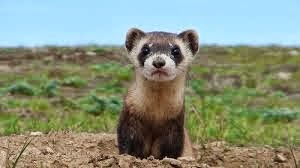 David Weatherly (a shaman and friend) wrote me this: in shamanic terms, the ferret is a symbol of the ability to see hidden truths. There is no more elusive truth to the living than what is on the other side of Death’s great door. You have your Mom's eyes. Greta was beautiful, in both pictures. Thankyou for sharing this, Mike. Your thoughts leave me in tears. My father is 89 and is in late Stage 4. I understand - and your sentiments are so beautiful. We are constantly trying to figure out if we correct him when he demands that I go pick up his parents. It seems cruel to even correct him. I did, once, about his brother. The pain in his eye taught me I'll just lie about things. It's hard on my mother. Bless you! Right now, I don't know what you feel, but I know I'm getting there. Thank you for sharing such a beautiful moment. Please allow me to extend my deepest heartfelt condolences for your loss. Losing a parent can be extremely difficult, but it seems you have found some peace at the end of her suffering. I believe that now she can join her husband. I hope that you do too. It seems you have a close family life; take solace in it. Not everyone has that. It's strange how everyone made such a big deal about 2012. In my life and others close to me, 2013 has brought more change than anyone ever bargained for. Thanks for all that you do and go in peace, Mike Clelland. Your mama was beautiful. I'm glad the 2 of you were with her when she passed. I'm glad also for your blessing by the sweet critter. Words fail me Mike, I know her spirit is free now and am glad you and you siblings are at peace with your Mom now. I just wanted to say thank you for sharing this with us. 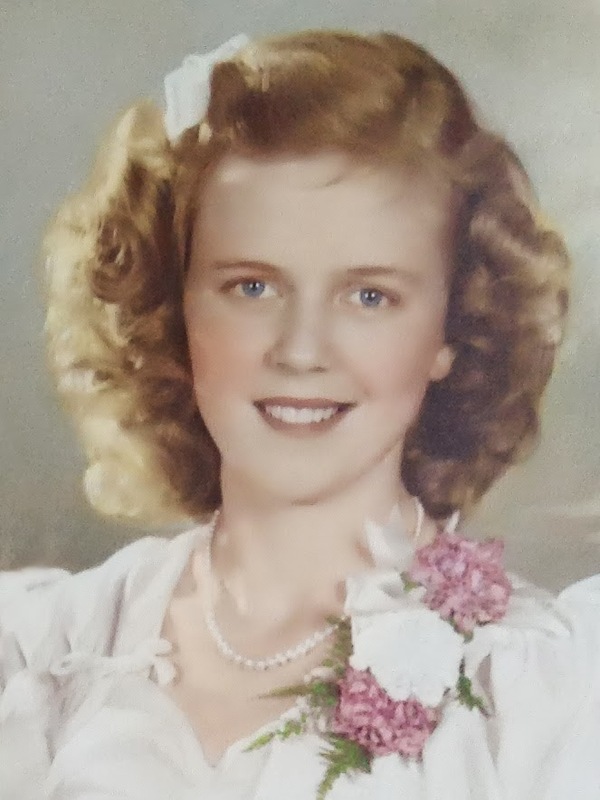 My mother died from complications of Alzheimer's and also spent her last few years in a facility. That ferret was definitely your messenger, Mike. She looks like a beautiful woman. I'm both sorry for your loss and glad at the relief you must be feeling to know she's back with your dad and away from her failing body and mind. The ferret does seem to be a messenger of strangely good news-- and release from alzheimers could be considered that. Many hugs to you and your siblings. I hope you have some peace now. Your mother was a beautiful lady, by the way-- I love the frankness behind the eyes. She looks like someone who likes to get to the point, but with a sense of humor. Greta sounds a lot like 'Grata' which in Spanish means 'pleasurable & heartwarming.' And given her beautiful smile, I'm sure she was all those things & more.